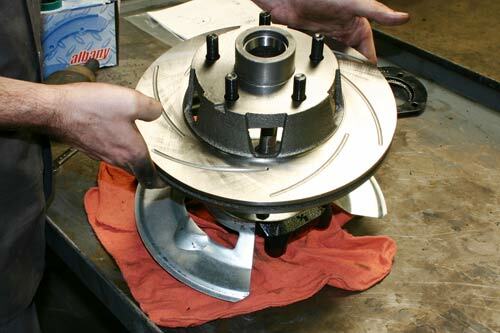 If you are looking to add/upgrade disc brakes on your Chevelle, you’ll need to pay close attention to the wheel on the hub assembly. Often times, the mounting plane of the new hub will cause the wheel to sit further outward in the wheel well. Depending on the wheel and tire size, this slight variance can create all sorts of clearance problems. Check it out before installing or assembling the parts!